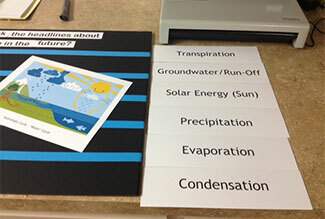 This coordinated effort with the Terry County Extension Service/4-H provides fourth grade students from Meadow, Brownfield, and Wellman-Union an opportunity to learn about agriculture and natural resources in a "hands-on" environment. 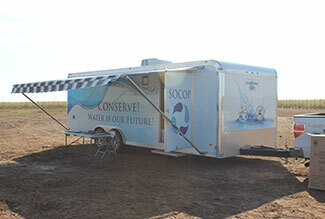 For many, this is their first exposure to "life on a farm" or to hear about where their water, electricity, and food comes from. 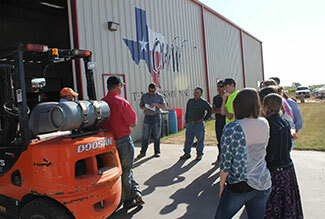 Both the Ag and Oil industries represents integral parts of the booming economy of Gaines County. 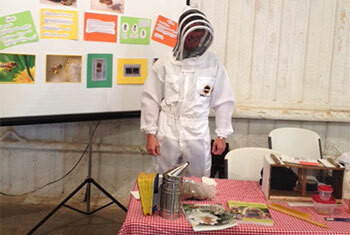 Fourth grade students from local schools, as well as the general public, are invited to spend the day exploring the sights and sounds of agriculture and oil related businesses and services from the region. 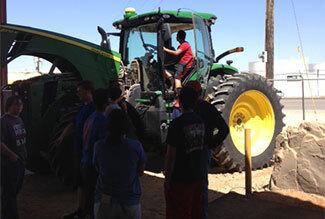 Students from Denver City and Plains are brought together for a day packed with fun and education regarding natural resources and agricultural awareness. 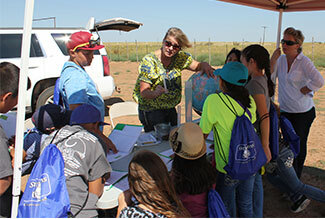 Coordinated with the Yoakum County Soil & Water Conservation District, this event provides hands-on learning with an opportunity to see, feel, and touch as they learn about farming and ranching. 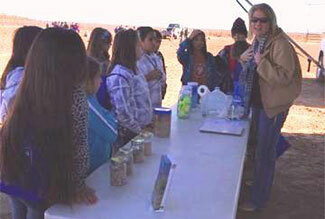 Terry County Soil & Water Conservation District, along with a local rancher, host the outdoor classroom for fifth graders from Brownfield, Meadow, and Wellman-Union. 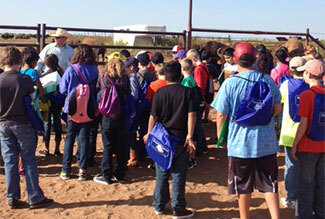 The event has been condensed into a full day of experiences learning about cowboys, birds, weather, water, and life on the range. 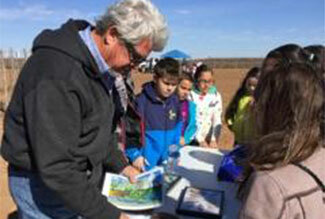 Students get to see live buffalo and learn about the natural spring located on the ranch. 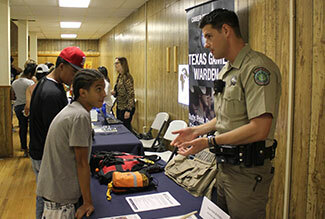 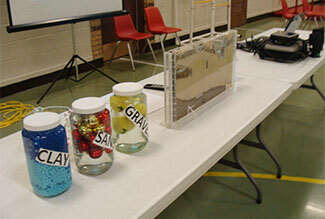 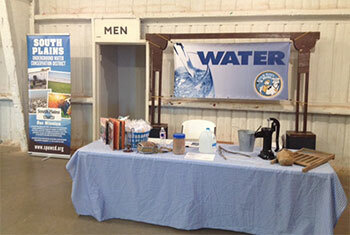 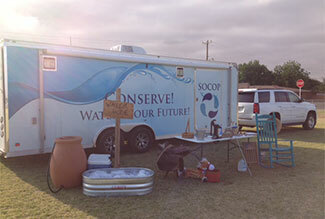 Each spring, the water districts conduct an evening of learning for local community members. 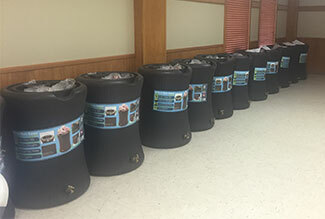 Those in attendance receive a rain barrel and set of rain chains in addition to deepening their knowledge of rainwater harvesting and water conservation practices. 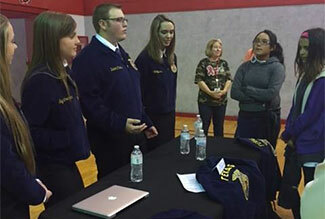 Knowing the high demand for workers in Ag related fields, local Ag professionals put together a program targeting Terry County 10th graders. 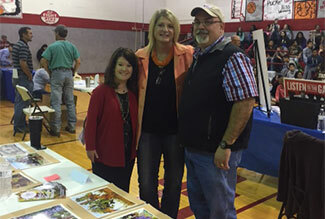 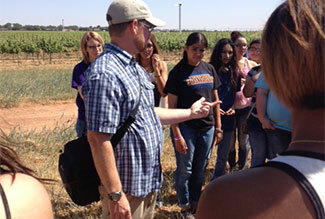 The event took students to local venues to learn about Agri-business in their own hometown - cotton, peanuts, and grapes. 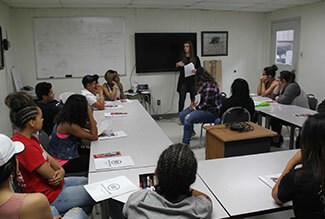 The purpose is to get students excited about Ag and open their eyes to the opportunities that exist with a career in Ag - graphic design, game warden, mechanic, crop inspector, research, entomology, public relations, irrigation expert, etc. 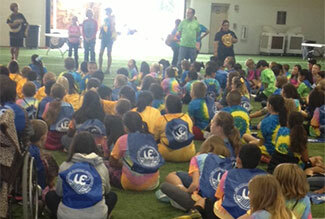 just to name a few! 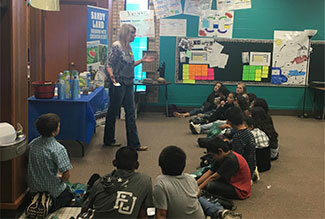 Leadership Education through Agricultural Discovery - Every other year, 7th and 8th graders from Denver City and Plains are treated to a day of discovery! 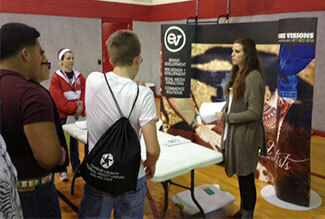 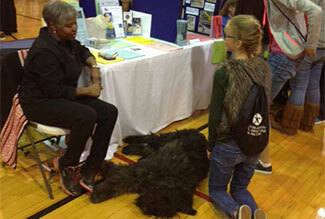 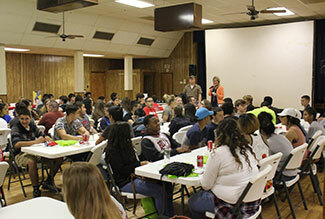 Over thirty participants are brought together to expose students to the world of Agriculture. 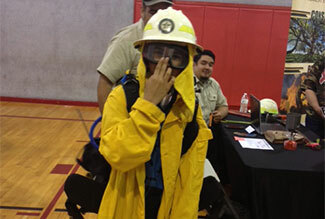 Key note addresses, lunch time demos, and hands-on trade booth tables provide an opportunity for students to learn from people in the field! 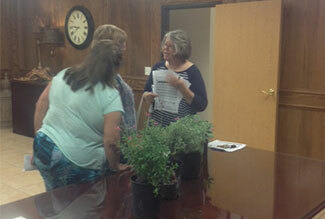 Pollinators and Plants abound in the demo garden located at the Brownfield office. 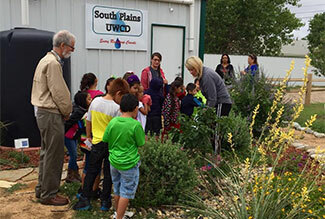 Local school children, as well as other visitors, are encouraged to stop by to learn about gardening with water conservation in mind. 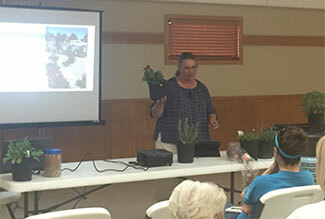 A full rainwater harvesting system can be viewed, along with drought tolerant plants. 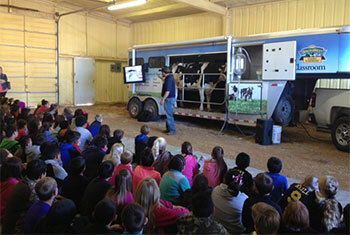 This is a great field trip experience - for kids and adults! 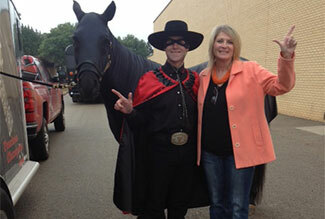 Colonial Heights Elementary teaches kinder and first graders about the "old west" during an action packed day each May. 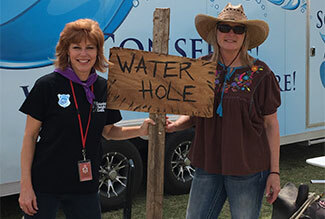 SOCOP is privileged to participate by setting up a "Water Hole" - teaching children about where water comes from and why towns such as Brownfield were settled . . . . because of access to water! 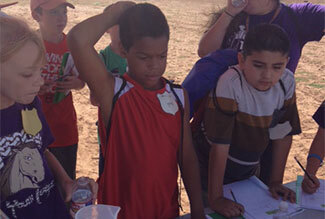 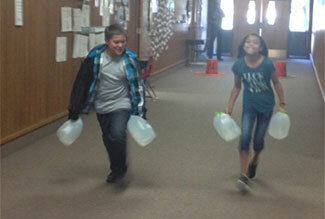 They learn about natural springs, Native Americans, animals, water troughs, and other "tools" used in the "old days".